MUMBAI, INDIA - 17 JANUARY 2015: View on boats tied to the dock in Mumbai. 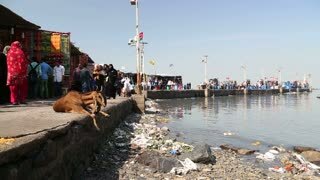 MUMBAI, INDIA - 10 JANUARY 2015: Boats in a bay at the seaside of Mumbai, with crowds standing on the dock. MUMBAI, INDIA - 9 JANUARY 2015: Men rowing in a boat in a city bay of Mumbai. 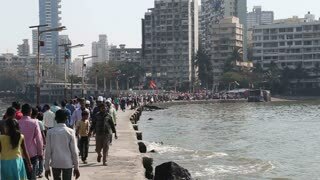 MUMBAI, INDIA - 9 JANUARY 2015: People walking by the dock of a bay in Mumbai. 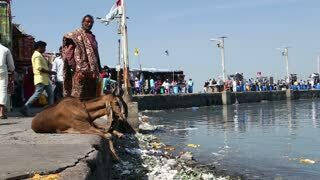 MUMBAI, INDIA - 9 JANUARY 2015: Goat laying on the dock of the bay in Mumbai while people pass by. 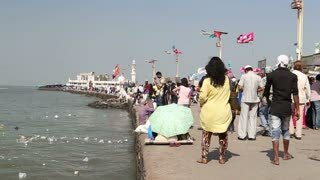 MUMBAI, INDIA - 9 JANUARY 2015: People on the dock in a city bay of Mumbai. 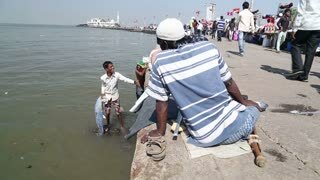 MUMBAI, INDIA - 9 JANUARY 2015: Family at the dock of the bay and people passing by in the background. MUMBAI, INDIA - 9 JANUARY 2015: Children playing on a boat in a city bay of Mumbai.